My (second) favorite man delivered a huge brown box to my doorstep the other day. The UPS man always leaves me with the BEST treats. 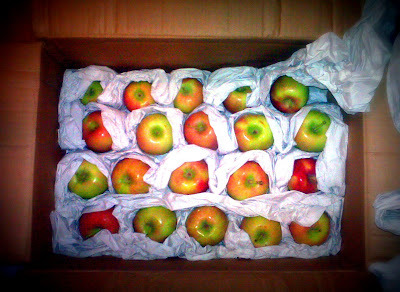 Inside this brown package were rows of fresh, crisp, homegrown apples straight from my Aunt and Uncle's Arizona tree. They graciously shared their harvest with us by shipping us (!!!) a box of apples. That thoughtful gesture made our day! The boys dug right in and took much time deciding which apple they wanted to claim. After making their selection, they clutched their fresh apple treasures and ran outside to enjoy. 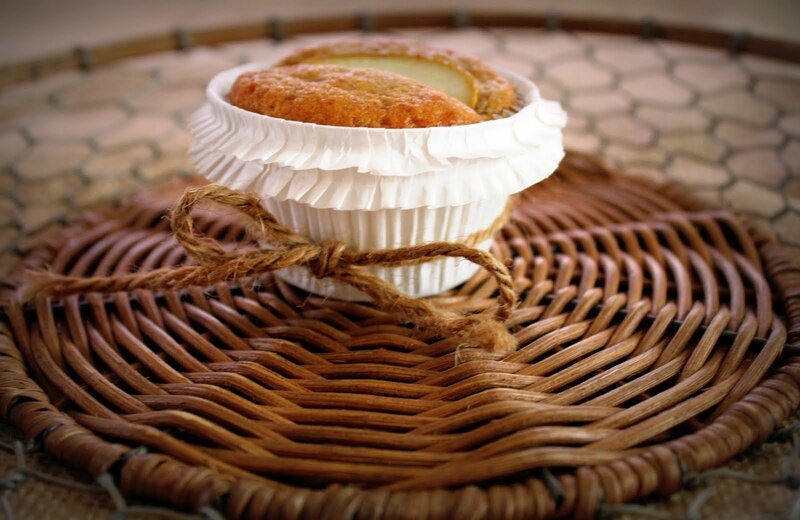 Seasonal baking and cooking is very fulfilling because it uses good stewardship of our incredible earth's resources while providing wholesome nutrition. I also enjoy teaching the boys about the different fruits and vegetables that are in season throughout the year. 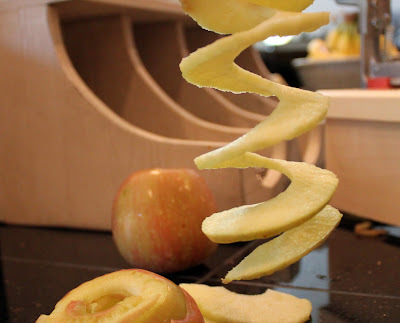 Apples offer the GREATEST variety of options with so many ways to prepare! The boys and I went to work prepping apples for some homemade goodness! 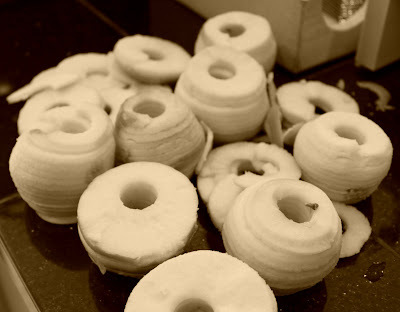 The boys call these "onion apples"
Lots of apples ready to finally use! 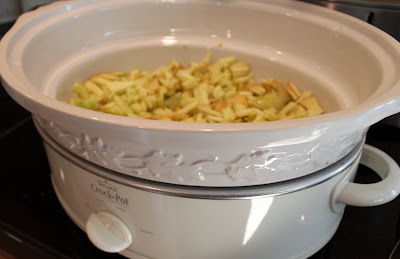 Apples cook in the slow cooker all day with fall spices creating the BEST smell! I have no recipe for this, because sometimes it's more exciting to be creative. However, if you would like to try it simply thinly dice apples and stir in a bit of water. Cook most the day on low in your slow cooker. Near the middle to end, add your fall spices and stir. Cook a bit longer and puree before serving to desired consistency. Thank you Martha Stewart for this recipe, these are amazing! Buttermilk is one of my all time favorite ingredients to use! 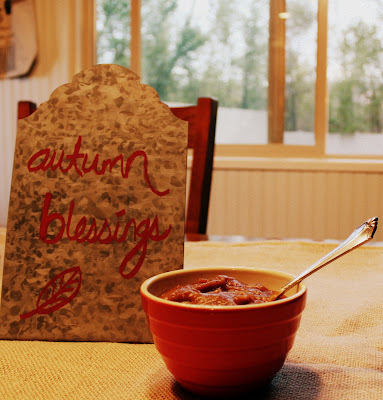 I've shared ideas and my love for it before on this past Buttermilk Bliss post. I wrapped each muffin in white lined ruffles and tied off with twine for an adorable breakfast treat. I froze them individually for quick grab and go on busy work days! I found these ruffle cupcake liners at Michaels. 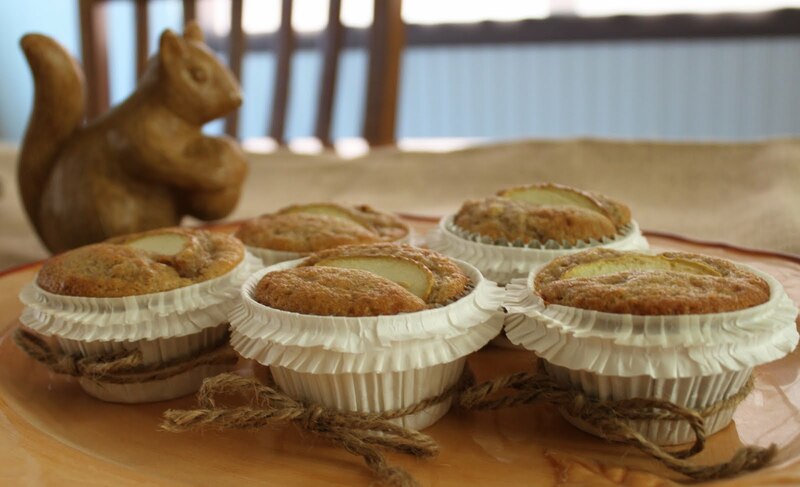 Each muffin was topped with a thin apple slice BEFORE baking. Fresh Homemade Goodness for breakfast! There are so many apple choices in baking, enjoy your apple season! Try trading one tv show that you would usually watch for time in the kitchen with your kids creating an apple recipe this season. It will add warmth to your spirit. When I leisurely follow self gratification, pushing my family aside, I always feel so empty afterward. It's better if I remember to take the LITTLE BIT of time to share life with them. so we should make the most of our minutes. I think I've died and gone to apple heaven! What a wonderful gift - and so nicely packaged. You should post a link to your aunt and uncle's tree farm - they might get a bit of business from it. PS - what variety did they send you? Lisa, Everything looks so yummy. This weekend we will make one of these! Loving the ruffle liners, where did you find them? Have a wonderful weekend! Those cupcake/muffin liners are the cutest I've ever seen! I just love the ruffle! I love to bake with apples too. How wonderful to have fresh ones shipped to you! Mmmmm...I can smell that applesauce all the way here....Wait, no...that's my applesauce cooking. It sure does smell good. But I am betting yours tastes better...fresher apples from special people. (Mine came from Whole Foods). Those muffins photos are beautiful...and I am betting (especially after reading Chris's comment) that they taste wonderful! What a perfectly lovely gift! And those muffins looks soooooo yummy! Where did you get the ruffled cups? So cute! Isn't the investment of time spent making the ones you love happy worth more than anything?! This is the mantra I live by! Even though I work full-time outside of the home, I never EVER forsake the necessity of MAKING time for my family. Last night after a grueling day at the office, I grabbed my 4-year old son's hand and pulled him into the kitchen (OK, I didn't have to do much coercing!) to help me whip up a delectable spice cake with maple buttercream frosting (from scratch!) He loved every bite, but what he loved more than anything was the TIME spent with me, laughing, stirring, learning and sharing. Thank you for reminding me about the emptiness that I feel when I've chosen some TV time over sitting on my front porch, watching the boys play, or when I've chosen to watch TV over nestling myself in beside one of the kids while they are reading or working with legos. Made me think, Lisa. Great post. Those muffins look delicious! The weather is horrible here today-I think I might turn on the oven and warm up the house by making a batch of these! Pumpkin spice applesauce in the slow cooker, gotta try that one! The muffins look wonderful and I love the cupcake holders. Hope my Michaels has them too:>) Have a great day Lisa! 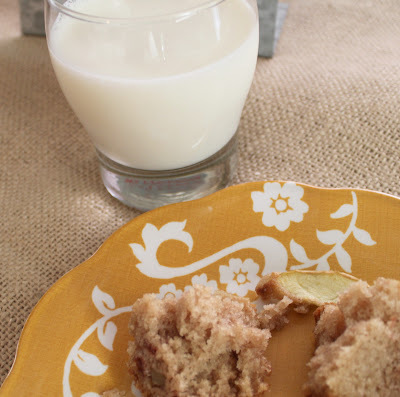 A wonderful blog..thanks for sharing...the recipe of apple muffins looks delicious, and those cupcake ruffled covers just sooo cute...captivating a precious moment with your children ..a blessing...we should make most of every minute ...so true! Yum! 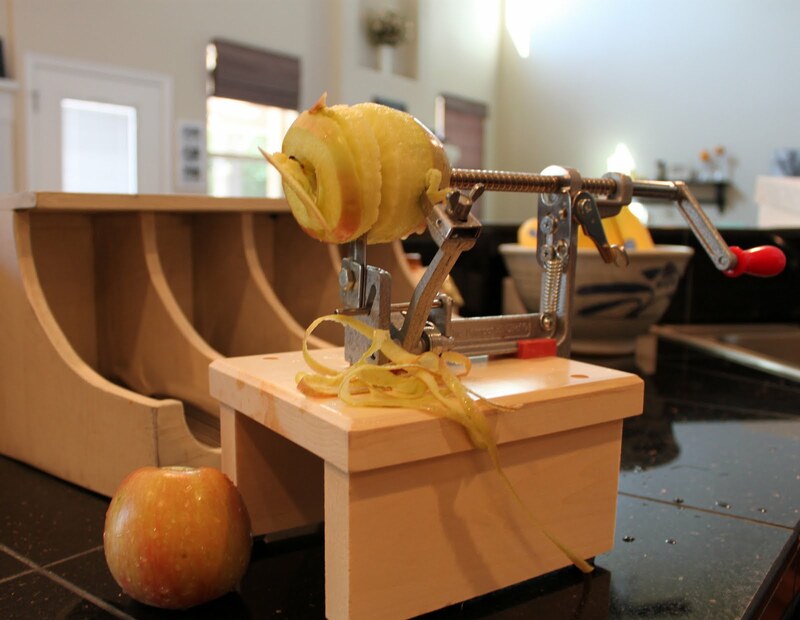 Isn't the apple peeler a fantastic invention! 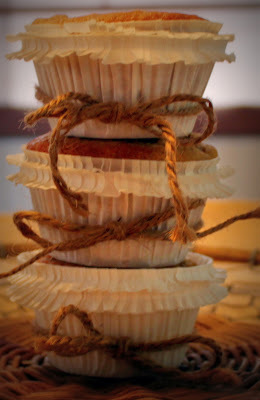 I love the twine around the muffin bottoms. So rustic and cute! Thanks for sharing. I previously commented on these and then made them for breakfast. I used WW flour and forgot to use baking powder (morning rush) and they still were fine! Loved them -- the kids came home and ate the leftovers after school. Thanks. 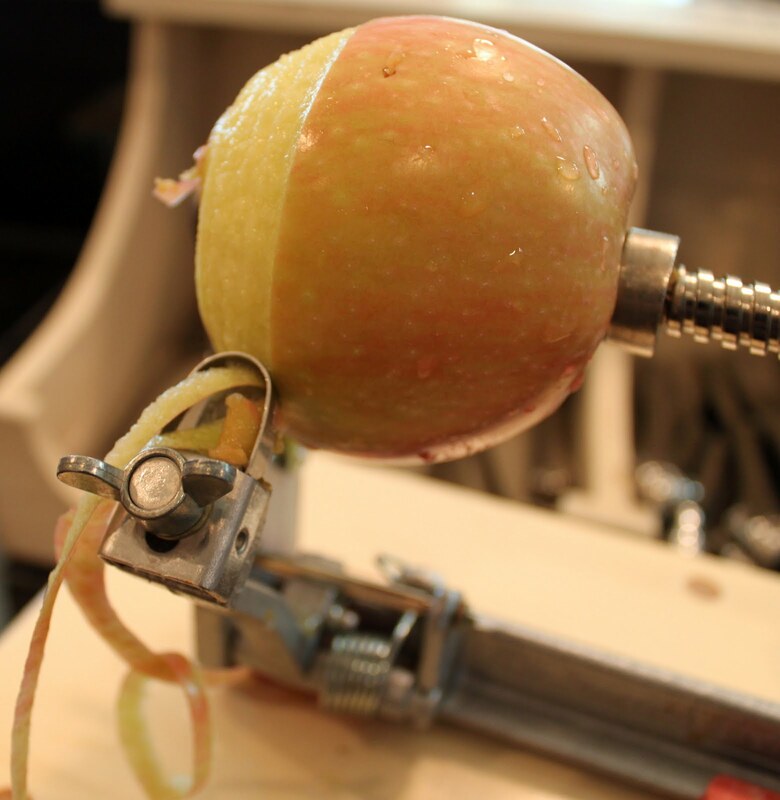 I love your peeled, coiled apples. So autumny and festive :) And those ruffled cupcake papers -- too cute! How did I miss this? 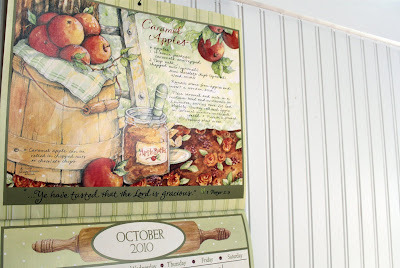 Wonderful recipes...and where in AZ did they pick those amazing apples from? Wow wow WOW! So many great recipes! My family would love these. And I have the same apple slicer/peeler/core-er (is that even a word?) Thanks for linking up to Topsy Turvy Tuesday's! I cannot tell you how sad I am that I was sick on the last day of apple picking here...I was so looking forward to making some apple goodies. I have one of those fancy tools...never used it (gasp! 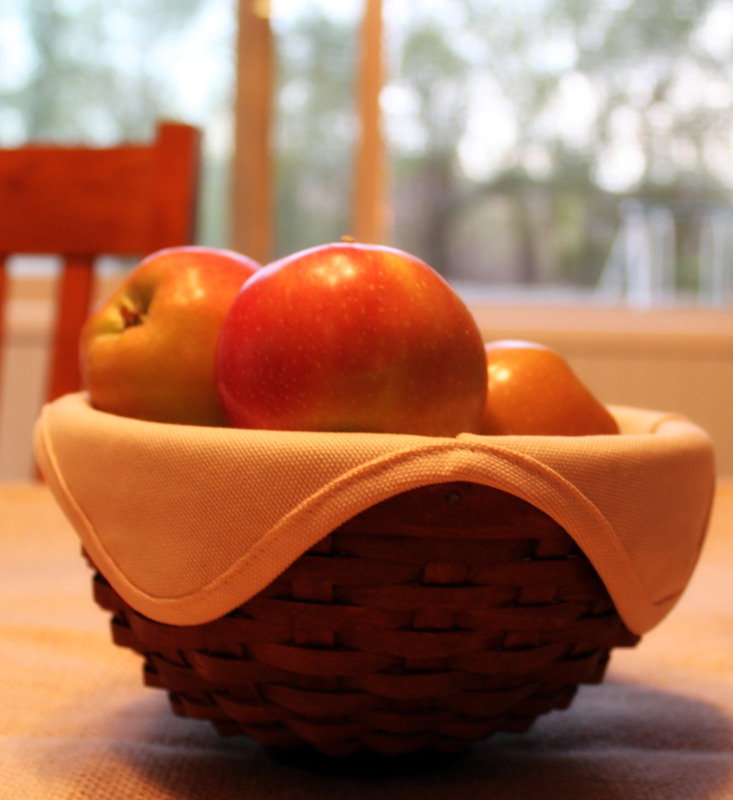 )...I need to break it out and go find me some apples!